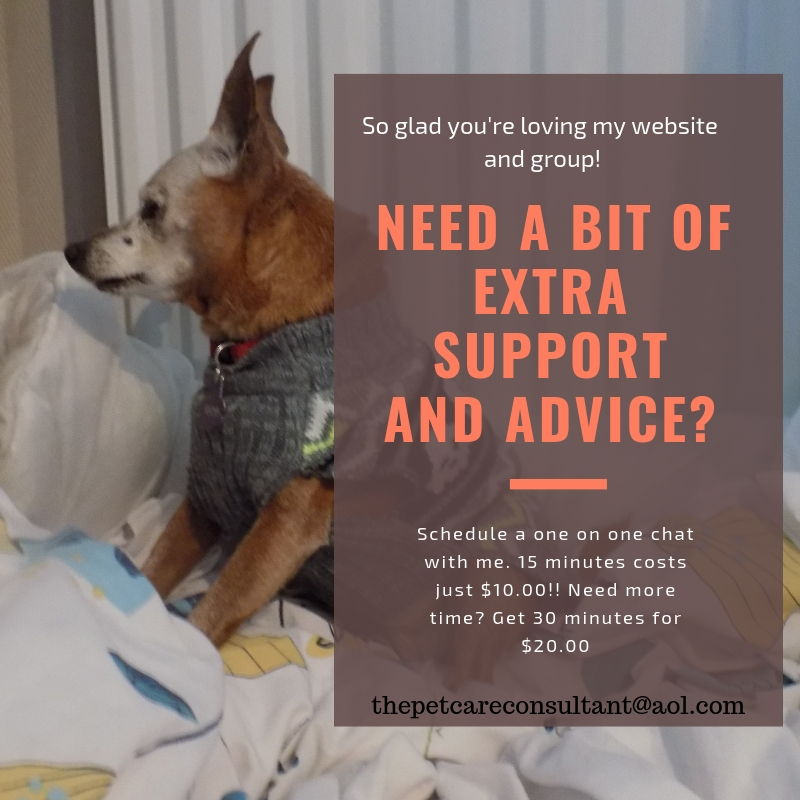 Since starting my Facebook group Senior Dog Care Club, I’ve had the pleasure, and honour, to meet an amazing group of parents taking incredible care of their senior dogs. times I had nowhere to turn. Hey I’ve also been guilty of yelling at Red and feeling like crap about it. I also have to remind myself I’m human, and that I better learn to take care of me as well. I know the group has been a refuge, a place to vent and talk to others who can relate, since many, myself included, have nowhere else to turn for the comfort and understanding we need. You can’t know how moved I am to be able to offer this to so many…but I know sometimes even that isn’t enough. So while we’re devoting most, if not all of our days to caring for our dogs, who’s caring for us? Let me mention that although I talk about dogs, the advice you’ll find in this article will help no matter who you’re caring for…and that includes humans!! According to my husband, not very well!! At times that has been true, especially before I knew Red had dementia, but generally I disagree. Never mind that, let’s backtrack a bit. Red, the love of my life, was around 8 when we adopted her and has shared my home for 8 ½ years and my heart for about 9 ½. I first met her while volunteering at a shelter in Florida. I was living with family at the time while looking for a house, and they had enough dogs and cats I couldn’t ask to add to their brood!! I had to love Red mostly from afar, except for once a week when I went to volunteer. Anyway, just over two years ago I noticed she would wander a lot and not settle. She had kidney issues at the time (of course she still does), and was having trouble concentrating her urine so she would pee a lot. I assumed she was uncomfortable because of her kidneys, and of course took her to the vet more than once for answers. Tests kept coming back fine and my vet couldn’t find anything wrong with her, but knowing her as well as I do I knew there was something. In the meantime I was becoming beyond stressed. Although Red is blind she gets around really well, and rarely bumped into anything even when in a strange environment…until then. I couldn’t get her to settle, she would wander for, literally, hours and I would keep hearing her banging her head. It was heart breaking and I felt so helpless. Sometimes you don’t realise how stressed you are until one tiny thing tips you over the edge. I work from home so I’m with my dogs all the time, with barely a break. Anyway it got so bad there were times I would have to leave the house, it didn’t matter where I went. Sometimes I would grab my headphones, plug my music in my ears and power walk along the beach, other times I would leave my husband in charge when he was home on a Saturday and go shopping for a few hours. I’ll tell you what it did me a world of good. So did listening to guided meditations, even if they were a short 5 or 10 minutes. But you know the one thing that was the most helpful above all else? Figuring out what was wrong. One day the word “dementia” popped into my head, and I realised that was the problem. I only adopt old dogs with health issues and I don’t typically have them too long before they pass, so I’ve never had to deal with that disease before. Somebody was obviously trying to help me by planting that thought. Thank you!! When I called my vet to tell him about my “ha ha” moment (as my husband calls it) he said it made sense. He’s a truly amazing vet but why he didn’t think about it I don’t know. Anyway with a box of Selgian in hand (the UK drug with selegeline) I saw an improvement in Red in only a matter of days. We were on the road to a calmer life…until now. Her dementia is getting a bit worse but still under control. She’s had several bouts of pancreatitis, one so severe we almost lost her in November, and before that she had a few seizures over the course of about a year. I bring this up to let you know how much I can relate to what you’re going through. You may think it’s easy for me to say “think about yourself” – “get a pet sitter so you can take a break” – “go on a short vacation” etc… but trust me it isn’t. Go on a vacation? Ha, I have to force myself. The thing is just because some of these tips are hard or feel impossible, doesn’t mean they aren’t exactly what you need! Will all of them be right for you? Of course not. Will they all be doable? No they won’t, but there are so many you’re bound to find something you’ll be comfortable with. A cliché to be sure, but the absolute truth. When you’re a nervous wreck you’re not at your best, and your dog needs you at your best. When I’m stressed I still do everything for Red, but it’s easier and feels better when I’m relaxed and calm. Do something before you’re burnt out…unless you already are! I don’t think I’m exaggerating when I say, the majority of us wait until we’re tearing our hair out before we start looking for ways to calm down. Sometimes we feel like we’re handling things, and the next minute we’re in a heap on the floor, crying with our dogs in our arms. Sound familiar? Here are my tips and please give some of them a try!! This one is rich coming from me since I’m a control freak, but given some thought it does make sense. See how much is in your hands? What good could possibly come out of this sad experience you ask? I know it’s tough to see any silver lining in all this, or believe there are lessons that can be learned…but perhaps there is and there are! Can you help others going through this same experience? Have you become aware of how much more compassionate you have become? Has it made you appreciate your own life more? Do you see how deeply and completely you can love another being? What about your experiences with the veterinary care your dog is getting? Do you have a great vet or has this helped you figure out what you need in a health care provider? Has your pup’s illness forced you to slow down, relax, re-organise your priorities? Take a deep breath in, hold for 5 seconds, let it out slowly and repeat. Do it a few times in a row, several times a day. Simple! The not so simple part, at the beginning, will be keeping your mind focused on your breathing, and not letting it wander to the very things you’re trying to calm down about. It’s a challenge for sure, but with practice you’ll be able to block out most, if not all, stray thoughts that keep popping into your head. Search Youtube for “guided meditation” where you’ll find plenty to choose from. If you’re impatient, don’t think it’s for you, or there’s no time to spare, try it anyway. While some are an hour or longer, plenty are just a couple of minutes so start with those and see how it goes. I only listen to ones that are guided because my mind very easily wanders, so having a voice to focus on helps. Don’t worry if you didn’t hear one word because you were too busy thinking about Fido, it’s normal. 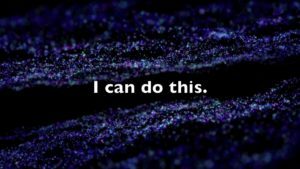 It can take a lot of practice to focus on the voice but that’s okay, even if you manage to do it for just a few seconds consider that a victory and try again later. You’ll be pleasantly surprised at how relaxing a short session can be, and how invigorated you will feel afterwards. Don’t give up too quickly because you’ll be missing out on a free and easy way to relax. The more you meditate the calmer you will become and the less easily stressed you will be. The great thing is you can do it any time of day, it doesn’t cost a penny and all you need is a quiet space. Your best friend who has been there for you during your latest break up or part of every major life event, may not be the source of comfort you’re looking for in this situation. relate and it’s as simple as that. Find a group of likeminded people you can share your grief, fears and concerns with who won’t judge you, whether that is in person or online. If you prefer a group you can attend in person, a search for support groups in your area is a good place to start. Some local pet loss groups may also welcome those with seriously ill pets. Facebook has lots of groups to join (including mine) where you can find an instant community. What about a chat room? 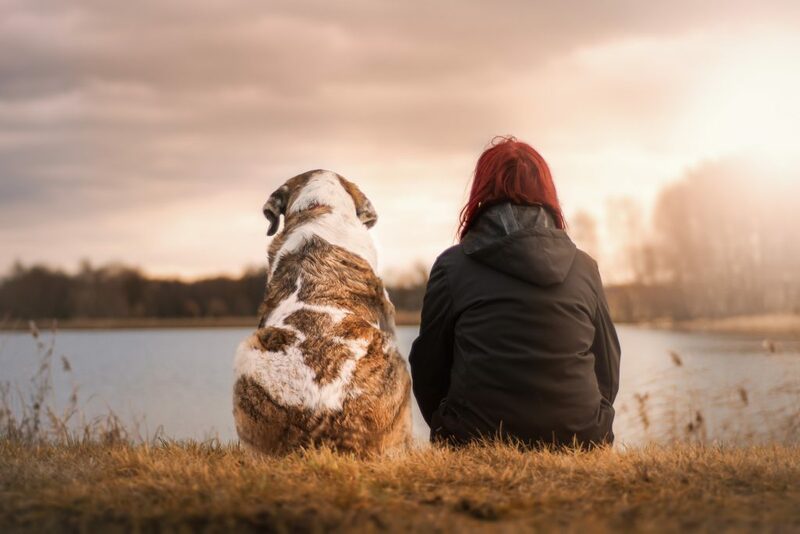 The Association for Pet Loss and Bereavement has the Anticipatory Bereavement Chat Room, set up to help people prepare. For one on one support find a grief counsellor in your area, and yes there are those who specialise in pet grief. If you can’t find what you’re looking for why not create it! How many times are you walking the dog and talking on the phone? What about vacuuming and thinking about all the things on your “to do” list? 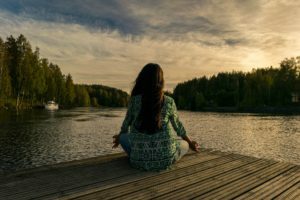 Mindfulness simply means being present in the moment, and it’s a beautiful concept. Imagine living your life only in the here and now, not trying to change the past or predict the future just living in the moment. We’d all be a lot happier, of that I am convinced. I’ve tried it, felt the difference but never stuck with it because I’m too busy living in the past and future myself but I am going to start “trying” again. As tough as it is to do it is worth practicing for the incredible benefits you will gain. How do you do it? Every time you notice yourself thinking of the past or worrying about the future, force yourself to think of the “now.” Of course it’s hard, especially if you have a mind like mine which my husband thinks is like a circus. All that means is you have to work harder. It’s about practice. Here’s an example. I’m tying this article but at the same time I’m thinking of what I have to pack for my upcoming trip, why haven’t I put my makeup on yet and who knows what other chatter. Yet when I remember I should be present in the moment I am conscious of the letters forming across my screen, I am feeling the keys as I press each one, and I see my fingers flying across the keyboard. I don’t know how to explain what a strange sensation it is watching my fingers type these words – surreal in a way but focused on the moment…as I should be. The present is where your dog is living, don’t you want to make every moment with him count? That’s rich coming from me because I cannot ask for help. My friends have to beg me to ask them for a favour and I hate it!! It’s a very rare occasion when I do, and I have to be really desperate! Don’t follow my example, especially because it’s super important to have some help in this situation. You cannot do all this alone, even if you have been until now. If you share your home with others remind everyone the dog is a member of the family, so their assistance is needed. They’re not self starters? Delegate specific tasks and get them to commit. Having to check up on them all the time will not help, and you’ll end up doing everything yourself again! If you are on your own, ask if a friend, family member or trusted neighbour could come in and give you a hand. need to step outside into the world, even if it’s just for a bit. If there is no way you would leave him alone, find yourself a pet sitter or dog walker who can keep him company. In my experience there’s usually at least one person in a vet practice who does pet sitting on the side, so start there. When is the last time you saw a movie or got dressed up to go to the theatre? Think about what energises you and gives you joy, then go and do it. Wait, taking a break doesn’t have to mean always leaving the house. Take a nap or a bath, read that book you’ve been wanting to or invite someone over for some adult conversation…and don’t talk about the dog! I know this is a real tough one, and I know this from experience. To be honest there are things I haven’t been able to forgive myself for, even after many years. The guilt has lessened but only slightly, yes I have learned but totally forgiven myself? No. Which is not to say you shouldn’t and can’t! After all, what good is all the guilt doing for me or you? We all wish we had “known” in advance rather than making mistakes or trusting the wrong vets, but as much as we would like it to be different, life isn’t like that and we just can’t know everything. We can only do the best we can do with the knowledge and information we have at that time, and you have to keep reminding yourself of that. It’s hard to admit, hard to accept but it’s all there is. If you can’t stop beating yourself up please speak to a professional – that’s called asking for help, something we already discussed. You will see how healing it can be. An affirmation is basically a phrase or statement you keep saying to yourself. For instance, when the voice in your head says “I am so stressed I can’t cope” guess what? That becomes a self-fulfilling prophecy. Conversely when you say “I am at peace” you’re going to be pretty darn relaxed. Here are a few examples of the types of things you should be saying, feel free to create your own affirmations that resonate with you. Whatever phrases you come up with just make sure they are positive and in the present tense. Say them a few times a day, and even if you don’t mean the words at the time, eventually you will. Standing in front of the mirror makes your affirmations even more effective. When I have been stressed caring for Red I thought it was pretty obvious to me, yet it’s interesting how stressed out someone can be without even realising it. Here is a recent example. Red had quite a serious bout with pancreatitis in November, I even got as far as making “the” appointment because she was not recovering after almost 3 weeks. The day of the appointment she perked up and she’s been fine, until she had another minor bout a couple of weeks ago. She recovered from that very quickly because I caught it right away and had the medication on hand. I thought I was fine until my husband brought Red home after being at the vet on fluids. When I saw they had left the catheter in her arm I freaked. She had already had two days of fluids and was not going back for a third. They knew I had an appointment with my vet the next morning so I assume that’s why they left it in but I still had a meltdown. The practice was closed so I couldn’t go back or yell at them, and I didn’t want to pull it out myself. I went to a neighbour who is a nurse and asked for help. Yep I asked and yes it was because I was desperate. She was hesitant to do it because she didn’t know how a dog would react so said no. I looked it up on Youtube and it seemed simple enough, but I didn’t have anyone to help and didn’t want to ask the nurse and pressure her. Having no one to help me sent me into hysterics. We went home and I sobbed uncontrollably with Red in my arms for 45 minutes. Poor dog was soaking wet! Expressing your feelings and admitting you’re struggling does not make you a bad pet parent, but it does make you human. Recognising those feelings will go a long way to helping you cope, but it’s also important for you to know where to turn for emotional support. That doesn’t mean you’re not handling things, it just means that support will help keep you mentally and physically healthy so you can do even more for your dog. 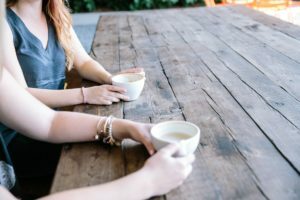 There is a section further up about finding a support network so you’ll find some advice there. With everything you have going on, laughing is probably the very last thing you can imagine doing. You’re caring for a sick dog who it seems you love more than life itself, what can there possibly be to smile about? Please don’t feel guilty for taking the time to enjoy yourself, or for one second think it means you don’t love or care for your dog. You know what it does mean? It means you understand that when you take care of yourself you’ll be a better caregiver. You probably miss having a good laugh, right? Do you have a friend whose company you enjoy because you always have such fun together? When was the last time you watched a video of your favourite comedian? How about that comedy show you used to love? In the best of times many of us don’t do a great job when it comes to maintaining a healthy diet, getting enough sleep or doing enough or any exercise. Add caring for a sick dog to the mix and you’re putting your own health at risk. How’s that going to impact your dog? Who has the time, energy or inclination to cook, especially when you can order take out or visit the local drive thru? If you do plan on sticking with this way of eating, try and choose healthier options. Maybe you can agree to cook a couple of times a week, make big batches and freeze. I love soup with tons of “stuff” in it so it’s a meal on its own. I make a huge pot and freeze into single serve portions, so when I’m hungry there’s always something to grab. Smoothies are another great way to improve your diet and they’re super easy to make. I use a nutriBullet so I can throw all kinds of fruits and vegetables in and they taste good. I buy bags of frozen berries, or freeze fresh ones so I always have ingredients on hand. When your dog is wandering all night, unable to settle, it’s tough (or impossible) to get a good night’s sleep, but you absolutely have to find a way. There are too many consequences for you to not take this seriously. Can you block off an area for your dog and put pee pads down so you don’t have to get up to take him out? You know your situation best, can you think of ways you can get enough hours of sleep while ensuring your dog is okay? Don’t just say no right away, give it some serious thought and come up with a plan. membership, lift weights, or run marathons. Prefer to stay home? Thank goodness for Youtube! Find a video and get moving, even if it’s short and slow paced it’s something. You may be pleasantly surprised to find, once you start working some form of movement into your day it will become a habit and you’ll actually look forward to it! It’s probably impossible to believe it now but it’s true! We could probably all stand to learn to say no more often, so use this opportunity as a way to start practicing. This is not to suggest you turn down every invitation or request that comes your way. It is about saying no to what you’re not interested in, and commitments you don’t have time to honour. When your dog is sick who can blame you for wanting to spend every waking moment with him? You’re an amazing pet parent and you’re doing a great job. 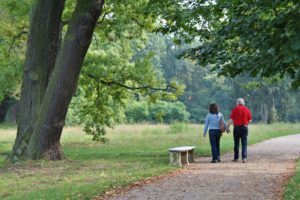 Having said that being a caregiver is tough, it’s emotionally and physically draining and can take quite a toll. That’s why it’s so important to care for yourself as well, and you’ve seen lots of examples of how to do just that. It is amazing how rejuvenated you will feel after just 5 minutes of guided meditation, or having a friend over for lunch. Taking time to re-charge does not mean you don’t love your dog. It means being healthy and happy is what you deserve, and being able to give your best is what your pup deserves! 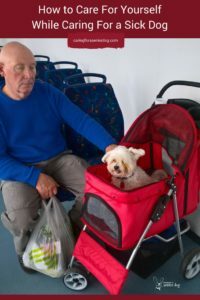 I don’t think people think about themselves during the process of taking care of an ill pet. It’s so important, though. If you’re not your best self, you can’t give your pet what they need. This is such an informative post. I don’t think we take good enough care of ourselves either and you’re absolutely right about having to be at one’s best in order to take the best care of others. What an amazing resource for pet parents who are grappling with the mixture of emotions that they are likely feeling and finding a way to cope. I feel as if this entire post is also relevant for people who are dealing with aging parents and being their caregivers. It’s taxing and rewarding at the same time. Thank you for providing this list of resources and helpful points for people to consider. Thanks Bryn, glad you found the post informative. You’re absolutely right, all the points mentioned can help all caregivers whether they’re caring for those with 4 legs or 2. This is such a wonderfully comprehensive list of ways to cope when caring for a sick dog. Yes to caring for yourself. I know it’s hard to do anything when your furbaby is sick. One thing I did was get naps when my sick pet was sleeping. Granted I feared I would wake up to a pet that had passed, but as crude, as it may sound, at least they would have passed gently in their sleep. The fact is, when you have a sick pet they are like newborns! Doctors tell new moms to sleep when their newborn sleeps! Granted this is not easy for someone who does not work from home like you and I do. Anyway, you really covered all the bases here and it is such an important topic! Thanks Joely! You’re so right about taking naps when they do, it’s the perfect opportunity so grab it. I know what you mean about worrying something may happen but the way I see it – it’s what they wanted so we wouldn’t have to make that horrible decision. This is great advice, and I hope it will help a lot of people. One of the problems with stress, is sometimes you don’t even realize how stressed you are. I usually think I’m doing well until I start crying over nothing. If I make it a habit to take care of myself, that will naturally reduce the stress. My 3 dogs are all technically seniors (over 8 years old) and my cat is 17. My mom is in her 80s and last year when her cat was suffering from kidney failure, my mom made her cat a priority (understandably), but it also impacted my mom’s health. My mom wasn’t getting the sleep she needed and wouldn’t go out to family functions because she didn’t want her cat to be alone. It was tough to watch them both struggle. I hope so too Beth. What you say is so true about not realising how stressed one really is. I think I’m fine then I break down sobbing over something small. Sorry to hear what your mother went through, it’s incredible to read about the beautiful bond between animal and human though. Even 5 or 10 minutes meditating can make a world of difference! Reading your post had me a little teary eyed because I remember feeling many of these emotions and feelings while caring for my sick cat with terminal cancer. You become so consumed with looking after for them and making sure they have quality of life you forget to take care of yourself. The ideas about being present, meditation (prayer for me) and having a good support system rang true for me. So important. Thanks for sharing Kamira. It does become all consuming, and we even find it financially draining to the point we deny ourselves because the money is going to care for the animals. What’s good about these points is they apply no matter who you’re caring for, even if it’s just your children in your everyday busy life. Wonderful post! Your recommendations are valid for anyone. You must take care of yourself before you can take care of others. Of course, I’m one to talk – I make sure my girls are taken care of but lately I haven’t done that for myself. Thank you for the reminder. Thanks so much and you’re right, these tips are helpful for anyone in a caregiving role. Actually they’re good if for those who aren’t!! Too bad I don’t follow my own advice.